An inboundy ad is a paid advert that has inbound marketing features. It's helpful and relevant to the target audience. Unlike spam adverts that target anyone in the hope of a conversion, inboundy ads are designed to move a prospect along the buyer's journey. The concept of an inbound ad is still fairly new. In fact, the idea of creating ads that were inbound first came around when HubSpot released their new paid ads features. Originally, HubSpot did not consider paid ads as part of the inbound methodology. Because most ads aren't helpful, they're disruptive and are usually considered as an example of outbound marketing. However, when HubSpot asked their customers whether they used PPC alongside their inbound strategy, they learned quite a high proportion still used paid ads. 53% in fact. This made the brains behind HubSpot consider the possibilities that you could make 'inbound' paid ads. Inbound ads have been commonly used in retargeting campaigns. Once you've got a contact or customer you can retarget them with relevant adverts. For this searcher, they're looking how to start a blog. This ad is inboundy because it offers a free step-by-step guide on how to start. It reflects the inbound methodology: offering free, helpful and relevant content to give the searcher an immediate solution. 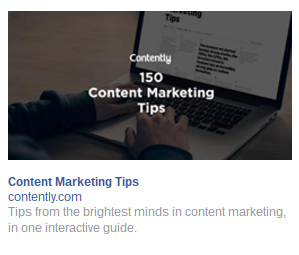 I signed up to Contently awhile ago and their remarketing adverts always hit the mark. They're relevant to my interests and helpful too. Want more examples of inbound adverts? Have a look at this blog we wrote for HubSpot, it shows 11 inboundy ads examples you can use for your own inspiration. How do I create my own inbound ad? Now, that you've read about inbound adverts, it's time to start creating your own. Following the criteria we mentioned before you can create your inboundy ads. To create an inbound advert, you need to know your ideal customer very well. Make sure your Buyer Persona Profiles are in-depth and up-to-date. When it comes to retargeting contacts and customers, you can upload your email lists to better focus your adverts. To effectively target your ideal customers and increase your chance of conversion then you need to target search queries that are relevant to what stage of the buyer's journey they're in. 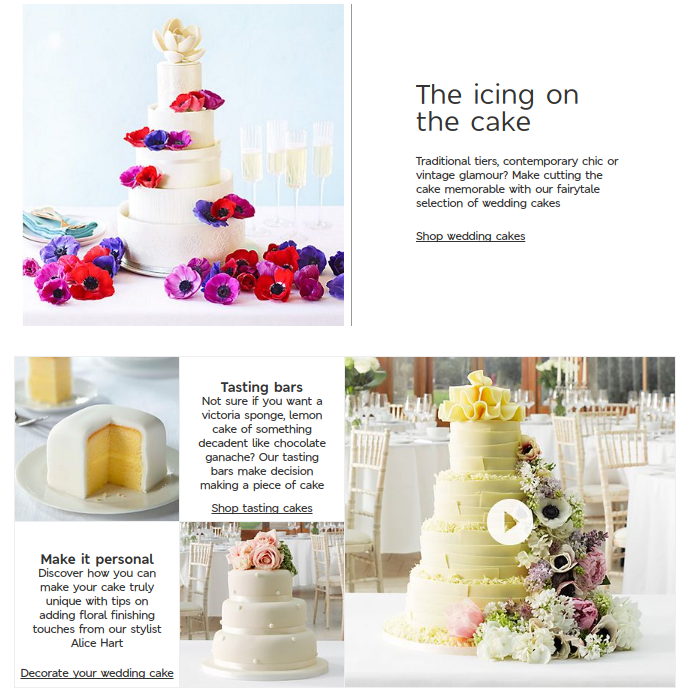 Pretend you have a wedding cake company and your ideal customer Bride Becky is looking for 'wedding cake inspiration' (which means she's in the awareness stage of the buyer's journey). The best solution for her query would be to create a blog/guide that offers different types of inspiration. Having ads targeting Bride Becky's different search queries depending where she is on the buyer's journey increases the chance of interaction. People click on search results that look relevant and helpful, you can can make your ads more relevant and helpful by understanding the buying habits of your ideal customers. Okay, you've created an ad that is relevant and offers a solution to your buyer persona. Now, you need to make sure your landing page meets the searcher's expectations. If you start making your ads more inboundy but instead of offering helpful information on your landing page, you're just sending searchers to your online shop, you're just going to annoy prospects and get a high bounce rate. The ad says "Wedding Ideas" but when you click through, you land on a page which directs you to the shop. For an online searcher who is looking for ideas, this can be a little frustrating. Your landing page must meet the needs of your buyer persona. Using the example of 'Bride Becky' and the wedding cake company. If Bride Becky has clicked on an ad that says: "10 Incredible Wedding Cakes For Your Inspiration", Becky will expect to see 10 incredible wedding cakes she can use to plan her own wedding. Following the best practices of inbound marketing, your landing page should then be designed to convert your searcher into a lead. Want more inbound marketing tips to improve your own marketing strategies? Our team at Digital 22 have shared insider tips on PPC, SEO, inbound marketing and more. Here are some excellent tips you can use to outmatch your competitors.